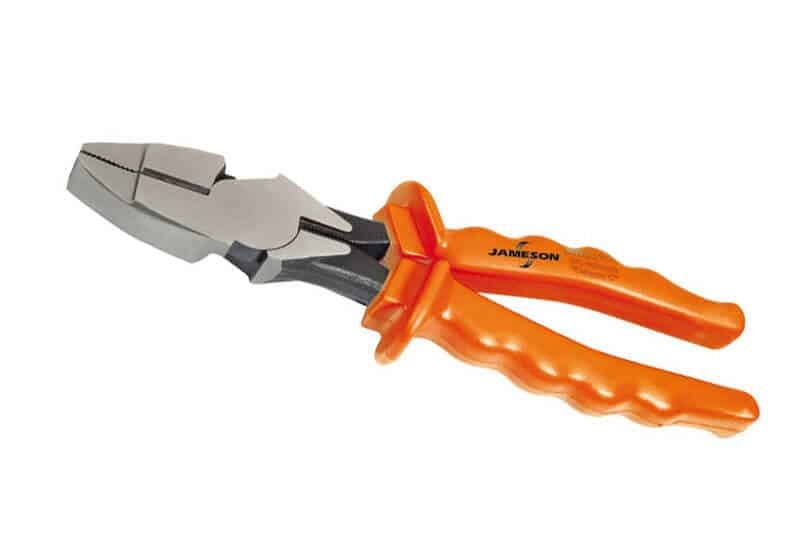 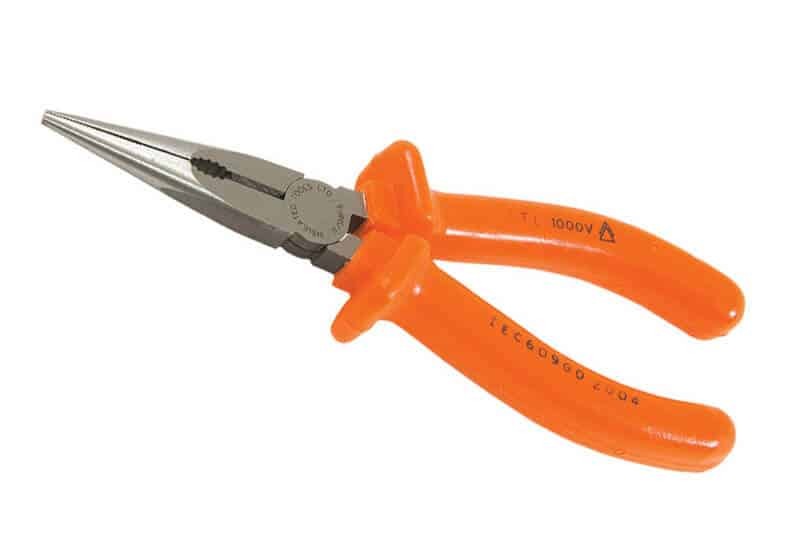 Insulated Long-Nose Pliers Size: 6-1/4"
Insulated hand tools from Jameson provide maximum electrical protection and are suitable for working live or close to live parts at nominal voltages up to 1,000 volts. 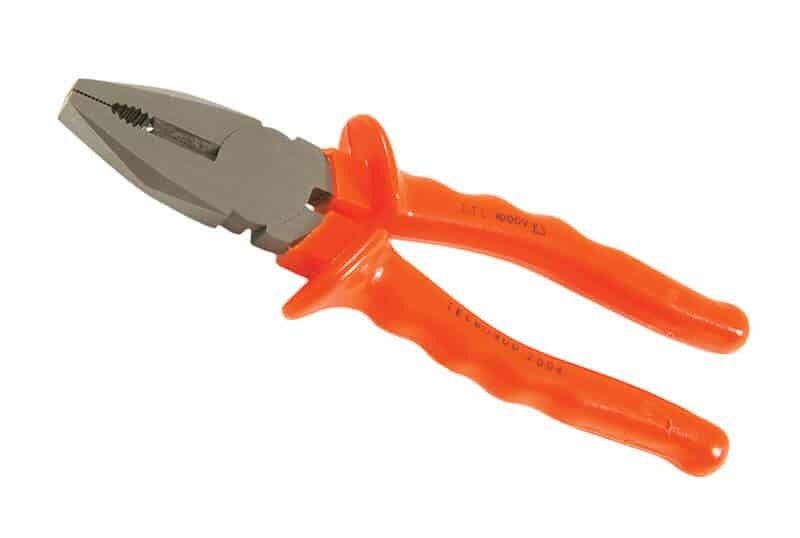 Constructed using heavy-duty injection molded Nylon 11; they are ideal for use in a wide variety of utility, electrical, and telecommunication applications. These Long-Nose Pliers feature flat serrated gripping jaws, tapered gripping jaws, and double knife-edge side-cutters.